American Express Publishing updates its apps for Food & Wine and Travel + Leisure; moves both apps into the Newsstand and starts offering subscriptions - Hi, friend Review Technology, in this article entitled American Express Publishing updates its apps for Food & Wine and Travel + Leisure; moves both apps into the Newsstand and starts offering subscriptions, we have prepared this article well and concise to be easy to understand for you to read and can be taken inside information. hopefully the contents of the post Article Business/Financial, Article Magazines, Article Tablet Edition, that we write this you can understand and useful. okay, happy reading. American Express Publishing has decided to join the majority of major publishers who offer their magazines inside Apple's Newsstand and are selling subscriptions. 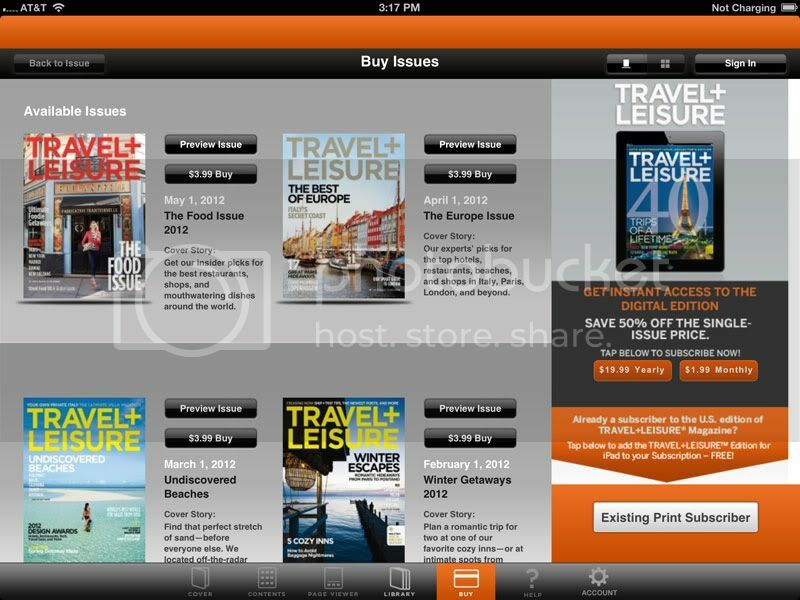 The company this afternoon updated its apps for FOOD & WINE and Travel + Leisure. The move brings American Express Publishing in line with what its competitors have been doing for quite some time, but there is no doubt readers will be extremely happy about this development. 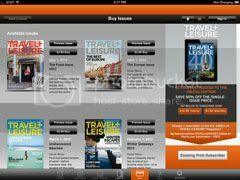 Print subscribers will now be able to log into the apps and access their digital editions for free. Meanwhile, new readers will be able to buy individual issues at $3.99 a piece, or subscribe on a monthly basis at $1.99 or on an annual basis for $19.99. SUBSCRIPTION OPTIONS ARE NOW AVAILABLE, and current subscribers to the U.S. print edition of FOOD & WINE magazine can still access the digital edition every month AT NO EXTRA COST! Simply download and launch the free app, tap "Buy" on the navigation bar, and follow the prompts for access. FOOD & WINE is also now available through the Apple Newsstand. As part of this upgrade, you'll be able to access all your previously purchased or downloaded issues from one convenient place. Newsstand is only available if you upgrade your iPad to iOS5. Once you upgrade, you'll also need to update your app so that you can view it through Newsstand; the Food & Wine icon on your iPad will disappear, and you'll find the app in the Newsstand folder. You may have to re-download older issues that you've already purchased (there is no additional charge). If you do not upgrade to iOS5, you can continue to access your issues the way you currently do. A word of warning: I don't really know how much of all this is new. It is hard to keep track of every single magazine app out there – though Lord knows I try. The online FAQ for FOOD & Wine that says it was updated February 13 says that print subscribers can get their issues free of charge once they log in. But this FAQ may have been updated without changing the date. All I can go by is what the app description above states. All the articles on these apps all seem to date back to their original release, even the original TNM post from October of 2010. 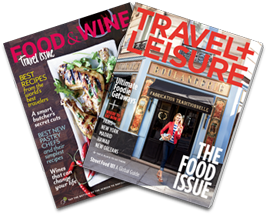 Thank You and Good article American Express Publishing updates its apps for Food & Wine and Travel + Leisure; moves both apps into the Newsstand and starts offering subscriptions this time, hopefully can benefit for you all. see you in other article postings.